What does your career have in common with politics, marketing, and sales? They are all considered campaigns. Yes, campaigns. Never thought of your career this way? Bear with me. Similar to marketing, sales, or politics, your career is comprised of a campaign lifecycle process (campaign phases). Every once in a while, I cross paths with Fortune-level clients who got this. These particular executives admitted to receiving stellar career mentorship and coaching early on. It was no coincidence that many of these clients boasted career paths rooted in public relations, politics, or marketing. As my previous blogs mention, it is always wise to Dig Your [Network] Well before You’re Thirsty, but you should never rely on one tactic. Whether you seek to grow or change your career, the career campaign process will help you methodically identify your goals, build a skills inventory, promote [your] brand visibility, and deploy modern search tactics. Top leaders treasure a value-driven and action-oriented mixed-methodology process, and the campaign process offers just that. This five-phase process will keep you logical, proactive, and strategic as you climb the career lattice-not ladder. Whether you are a Renaissance Soul, Refuse to Choose, or always wonder What Color Is Your Parachute?, then you are here. In fact, many clients believe they are at phase three or four, but quickly find themselves at one. It’s worth investing in an unbiased, credible career or executive development coach that can take you through a deep dive inventory of your values, motivators, talents, and great expectations (no, not the Charles Dickens novel). Overall, remember: Credible coaches are there to guide your exploration and planning process; not tell you what to do. Let’s be clear: There is no perfect job, but you can find a path where the positive outweighs the negative, and allows you to apply your natural talents. Using the results from Phase 1, you will conduct a SWOT and benchmarking analysis exercise. This entails investigating various titles, responsibilities, industries, corporations, market growth, and salary scales. Will this career embrace your values, motivate you, and offer challenges? You will quickly determine if this potential path is an “Ideal Position” or one that leads to Intolerable Cruelty. Companies and politicians know that survival depends on strong sales and marketing campaigns. You are now the product, and adopting this approach is imperative to your vitality. If you are not selling yourself, trust me, your competition is. What’s your brand? Does your resume still resemble the one you wrote in undergrad or is it reflective of a consummate professional? How about that LinkedIn profile? As an entrepreneur or C-suite executive, do you have a biography? Do you understand what an executive summary is and how to use it? Take a hard look at your personal marketing campaign. If you’re struggling, there are professionals that can help you. Your marketing documents are complete, so now what? Playing pin the tail on the donkey will get you nowhere. Identify marketing channels that will get the word out, and start identifying specific opportunities. Build a spreadsheet (your information from Phase 2 comes in handy at this point!) to identify 25-50 target companies that mirror your criteria. Don’t forget to develop a “why” statement that supports your reason for wanting to work there. Develop a search schedule and hold yourself to it. Networking is critical. Identify and list alumni, former colleagues, friends, etc. at your target companies. Remember, politicians understand the traditional career ladder, but they also keep an eye out for serendipity. Interviewing starts with pre-interview research. Find information about the role, the people interviewing you, and the company’s successes, challenges, and goals. How are you going to position yourself as a solution? One-on-one interview coaching is powerful. Build your one-minute commercial, use this interviewing cheat sheet, and practice the salary negotiating techniques outlined in my February blog piece. If you are part of the population that believes “Insanity is doing the same thing over and over again and expecting different results,” then stop the carnival act now. 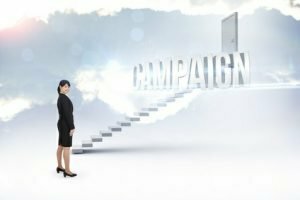 Adopt a winning campaign strategy for your career. It makes all the difference.